The September security update to the Samsung Galaxy Note 8 is being rolled out in some regions. This year, Samsung launched two flagship smartphones, the Samsung Galaxy S9 series and the Galaxy Note 9. Although, there is not much of a design update when compared to their predecessors, both the Series 9 devices were launched with “Super Slow Motion” and “AR Emojis”. Now, a report has claimed that the Galaxy Note 8 is getting the same features with the September security update. Unfortunately, the update is being rolled out in some regions which does not include India. 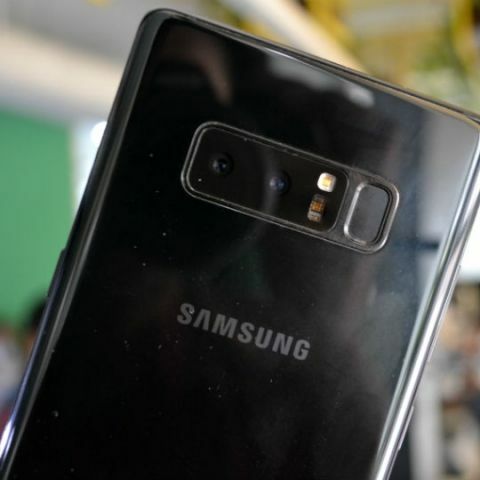 First spotted by the XDA Developers, a thread on Reddit says that the update is rolling out in France, and the slow-mo video is 720p and it “looks like it’s the same as on GS9.” The claims of the phablet getting the same “Super Slow Motion” as it is on the Galaxy S9 and the Galaxy Note 9 cannot be confirmed. The tech news platform also says that the build number listed in the screenshot posted on the Reddit thread is legitimate since the update has appeared on Samsung’s servers.